January Monthly Meal Plan with Calendar & Recipes! 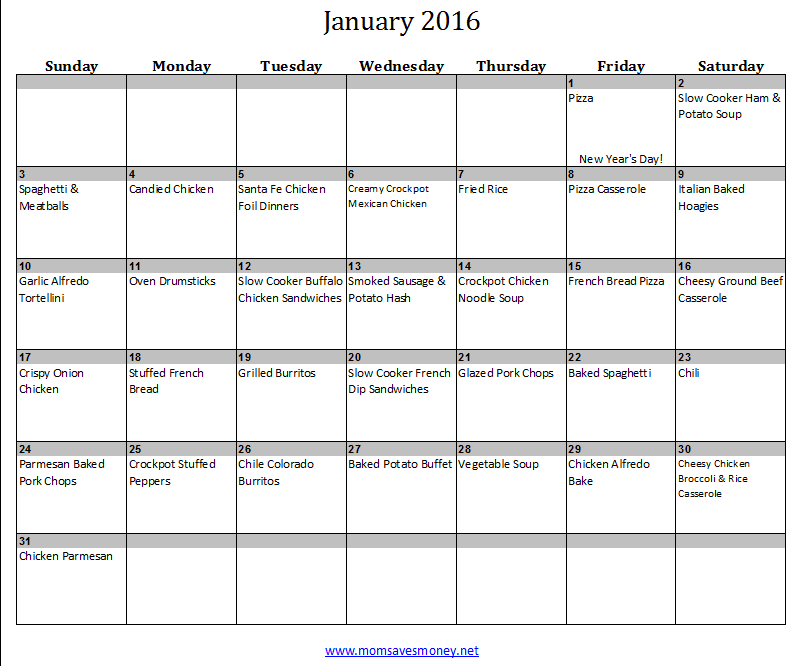 New 2017 January Monthly Meal Plan – Click here! Happy New Year!!!! Another trip around the sun here and gone for our planet. Time just keeps going faster and faster. At least for me. The holidays are fun, but I’m craving the routine that January will bring. To help you get back into a good routine (or maybe get into a routine for the first time? ), here’s a monthly menu plan. Just for you! (And everyone else that reads this blog, I guess. But, really, just for you!) If nothing else, this might inspire you to make a menu plan.